AmberSky is a family-friendly hair salon conveniently located in Maplewood. We understand that getting a cut for yourself or your child can be a stressful experience in a traditional hair salon. We provide something new and different – a truly family-focused hair salon in St. Louis. Our focus is to provide all the members of your family – from children to adults – with quality haircuts and styling. Our environment is simply the most child friendly hair salon in St. Louis. We are a full-service hair salon with professional stylists who are are not only experts with color, cuts and styling; but who are also experts at children’s haircuts and keeping children content and happy while their hair is being cut. The key to a pleasant haircut for a child is patience. Our stylists have cut hundreds of children’s hair and they are ready and happy to see your child for his or her first cut. 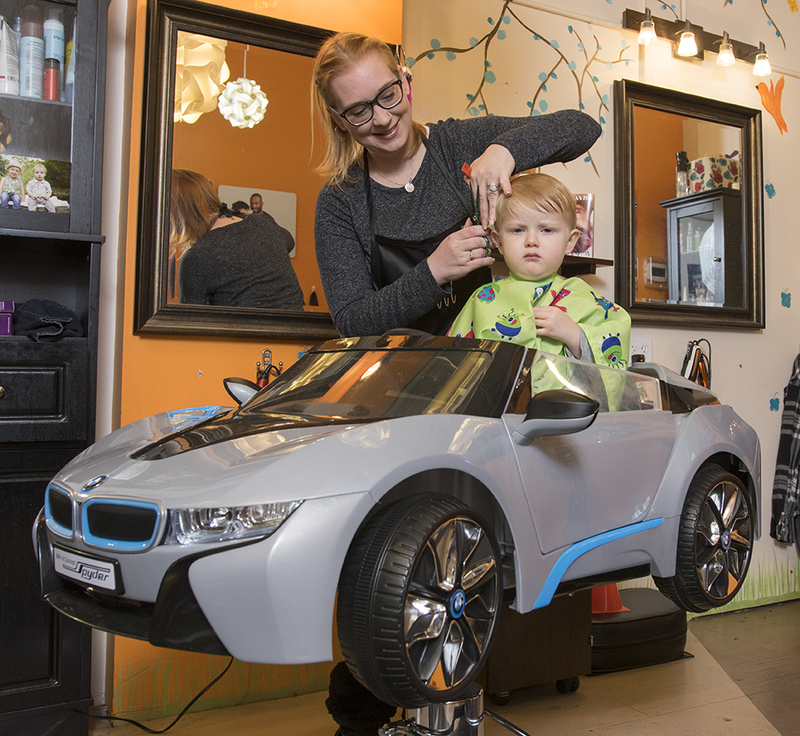 A child’s haircut doesn’t have to be stressful – for either the parent or the child. Each of our stylists is a mother who understands explicitly the patience and care required to keep the haircut a pleasant experience. As a family-focused business, we understand exactly what it means for a mother to attempt to get her hair done while having a baby that may need nursing or a toddler who needs to explore. Our salon is set up with the necessary amenities so that parents can be at ease while they get the pampering they deserve. Our unique location is fully set up to welcome our youngest patrons and make them feel at home, too. Parenting can be stressful. If we can help you look and feel your best, you will cope better with the day-to-day work involved in raising a happy, successful child. Call 314-623-2403 to arrange a visit with one of our stylists.